Deserts cover about one fifth of the Earth’s entire land. They are some of the driest, hottest, and even coldest places in the world. While deserts seem like they are inhospitable places, a number of plants, animals, and even people call the world’s largest deserts home. Additionally, deserts are not only made up of sand, desert landscapes are filled with rocks, mountains, oases, shrubs, and trees. 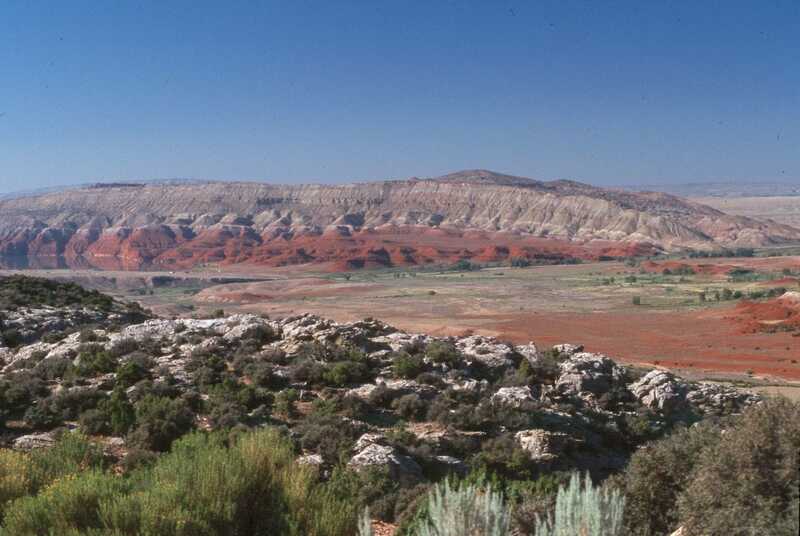 The Great Basin Desert is the largest desert in the United States with a total area of about 190,000 square miles (492,000 square kilometers). This large American desert is bordered by the Sierra Nevada mountain range on the west and the Rocky Mountains on the east, the Columbia Plateau to the north and the Mojave and Sonoran deserts to the south. The Great Basin Desert is protected land in the United States and contains the Great Basin National Park. The rain shadow of the Sierra Nevada and Cascade Mountains affects the weather in the Great Basin Desert, which has hot, dry summers and cold snowy winters. Of the four deserts in the United States (the others are the Mohave, the Chihuahuan, and the Sonoran), the Great Basin Desert is the only cold desert in the country because it snows. The Syrian Desert stretches from southeastern Syria to the northern parts of Saudi Arabia and across western Iraq and northeastern Jordan. The natural boundaries of the Syrian Desert are formed by the Euphrates River in the east, the Orontes Valley in the west, and the deserts of the Arabian Peninsula to the south. Although the Syrian Desert is mostly inhospitable, there are a number of oases throughout the desert, where some of the world’s most ancient cities are located. Some of these cities, such as Damascus and Palmyra, are UNESCO World Heritage Sites and are some of the most important ancient cultural centers in the world. 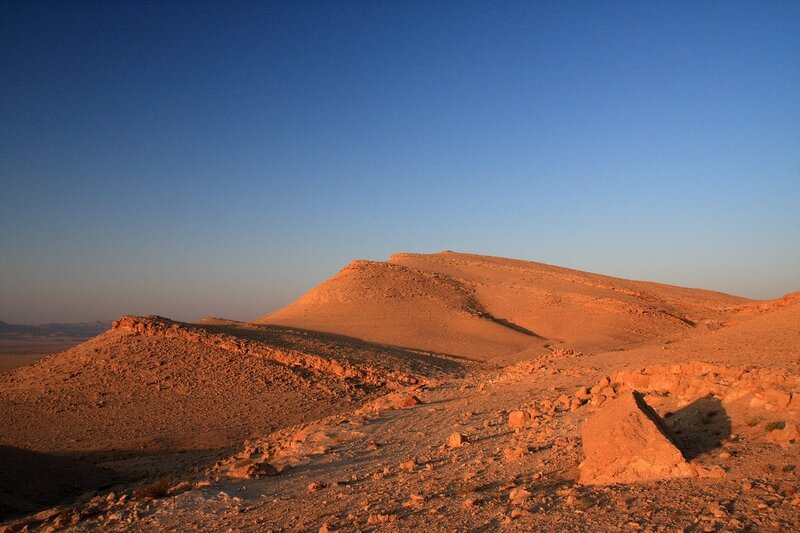 The Syrian Desert makes up about 58% of the country of Syria. The Chihuahuan Desert is the largest desert in North America and spans across most of northern Mexico and parts of the southwestern United States. Unlike some of the nearby deserts, the Sonoran and the Mojave, the Chihuahuan Desert receives about 6 to 20 inches of rain annually, especially during the summer monsoon season. 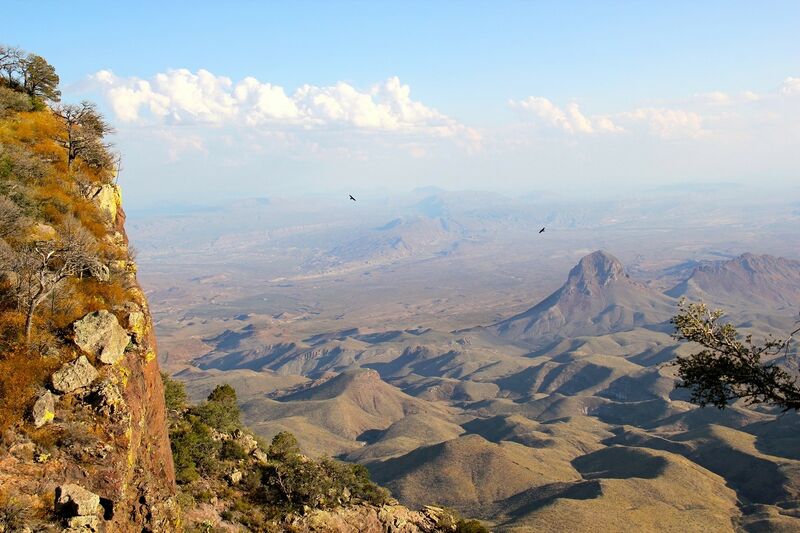 Parts of the Chihuahuan Desert are some of the oldest and richest centers of plant evolution in North America. The Chihuahuan Desert also contains a wide variety of amphibians, reptiles, and fish that aren’t found anywhere else in the world. The Chihuahuan Desert is home to over 3,500 plant species, including about a quarter of the world’s cactuses. The Patagonian Desert covers the southern part of Argentina and small parts of Chile. This South American desert has a surface area of about 260,00 square miles (673,000 square kilometers). The Patagonian Desert has two main climactic zones: the northern semi-arid zone, which is a bit warmer; and the southern zone is cold and dry with annual temperatures cold enough to produce snow. Unfortunately, the Patagonian Desert is home to many endangered species of plants and animals. Due to oil extraction and overgrazing from livestock, some of the more fertile areas in the region have turned into dry deserts. Unlike some most of the other deserts on this list, the Kalahari Desert is not quite as desolate and is quite lush in comparison. The Kalahari actually receives just a little too much rain (between 5 to 10 inches annually) to be a true desert. While the Kalahari is still dry, there is a lot of vegetation, including shrubs, grass tussocks, and deciduous trees. Additionally, many animals have adapted to the extreme conditions of the Kalahari Desert, including meerkats, wildebeest, antelopes, hyenas, and lions. The sand of the Kalahari is better at retaining water, which is why more plants and animals are able to survive here than in other deserts. The Kalahari Desert is home to the San Bushmen, who are considered one of the oldest cultures in the world and the oldest existing tribe in Africa. The Gobi Desert is the fifth largest desert in the world and spans across northern/northwestern China and southern Mongolian. Although the Gobi is important to both countries, this central Asian desert is better known for its connection to Mongolian history and culture. 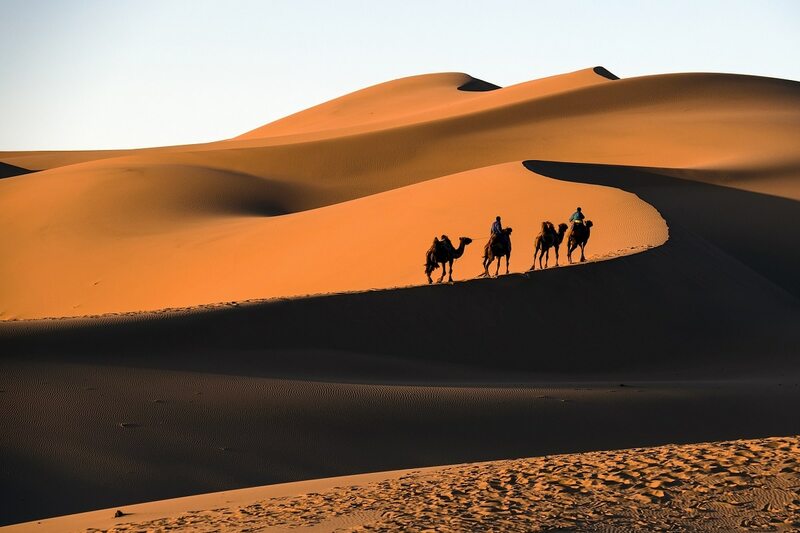 According to Mongolian legend, the Gobi Desert formed when a Mongolian chief used magic to escape from the Chinese army. Some of the greatest paleontological discoveries have been made in the Gobi Desert, including the site where dinosaur eggs were first discovered. Contrary to popular belief, the Gobi Desert is not really sandy, but is mostly made of bare rock and mountains. The Gobi is also known for its natural resources, such as copper, gold, and coal deposits. The Gobi Desert is still growing and expanding because of climate change and continuous desertification. Source: Wikimedia Commons via Aidas U. The Arabian Desert is actually made up of the three deserts (the Rub’al-Khali Desert, the Ad-Dhana Desert, and the An-Nafud Desert) that span across the Arabian Peninsula. 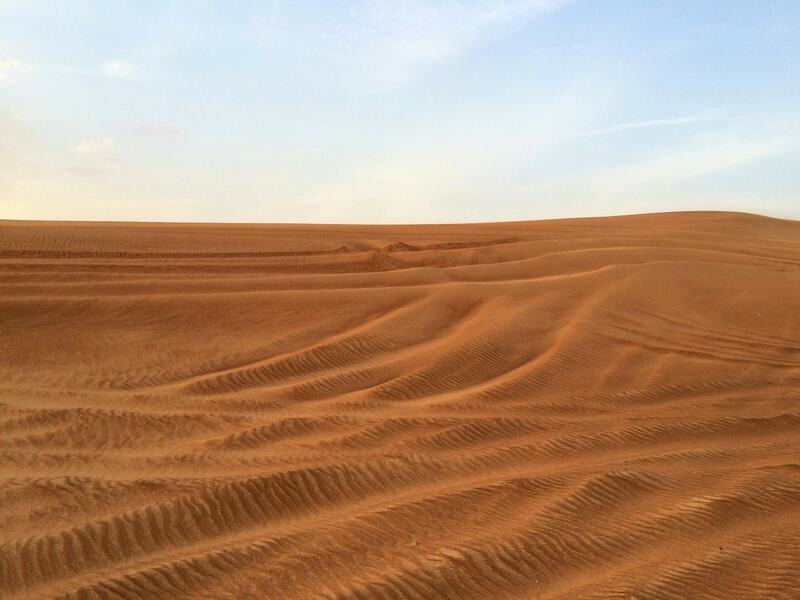 In total, the Arabian Desert is about 900,000 square miles (2,330,000 square kilometers). 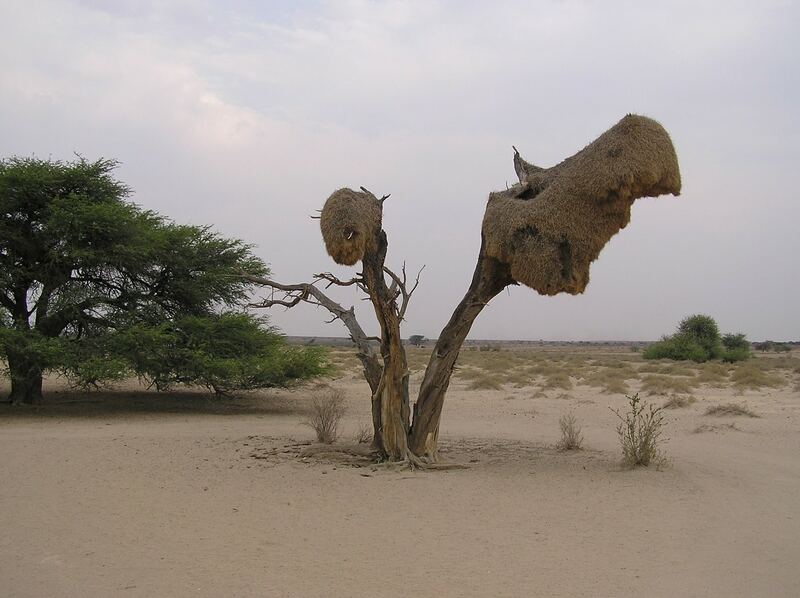 The Arabian Desert is home to some unique species, including the camel spider, fat-tailed scorpion, the sand cat, and the Arabian cobra. Despite such harsh conditions, people have also lived in the Arabian Desert for over two million years. Neolithic artifacts have been uncovered in the southwestern region of Rub’al-Khali. The Sahara is the largest hot desert and the third largest desert in the world behind the polar deserts in Antarctica and the Arctic. 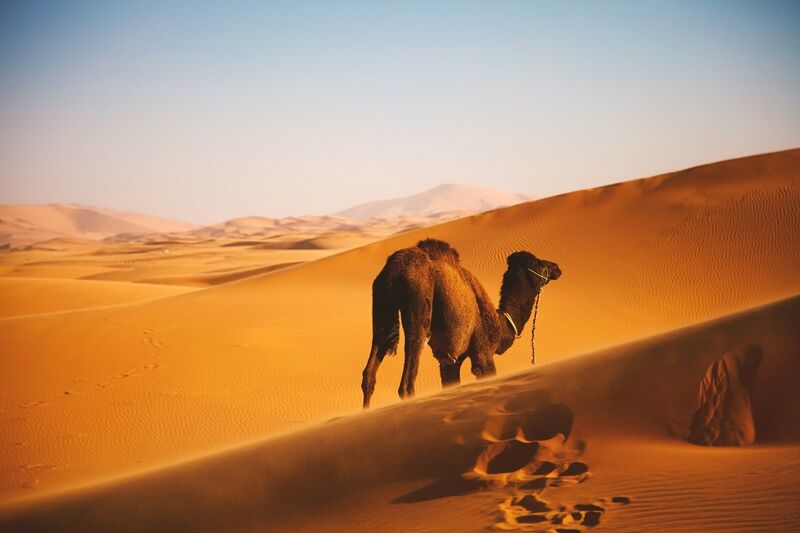 The Sahara is aptly named after the Arabic word for “desert.” While the Sahara might not be quite as big as the polar deserts, it is still massive and spans an area of 3.6 million square miles (9.4 million square miles). The Sahara is so large, that it covers the northern third of the African continent. Although the Sahara is known for its iconic sand dunes, the dunes only cover about 15 percent of the desert’s entire area. The dunes actually have different forms, including crescent dunes, linear dunes, transverse dunes, star dunes, and dome dunes. The Sahara is home to a number of mountains and mountain ranges and the highest peak in the Sahara is the volcano Emi Koussi (11,204 feet or 3,415 meters) in the Tibesti Mountains in northern Chad. Just behind the Antarctic Desert in size is the Polar Desert of the Arctic, which has an area of about 5.4 million square miles (13,985,000 square kilometers). The Arctic Desert extends over parts of Alaska, Canada, Greenland, Iceland, Norway, Sweden, Finland, and Russia. Like the Antarctic, the Arctic Desert is an arid, desolate, and very cold place. The cold air of the Arctic doesn’t hold much moisture, which means that it rarely rains in the Arctic Desert, just like in a hot desert. Unlike the Antarctic Desert, more plants and animals are able to survive in the Arctic. The Arctic Desert is home to about 1,700 plant species, including flowering plants, dwarf shrubs, herbs, grasses, mosses, and lichens. 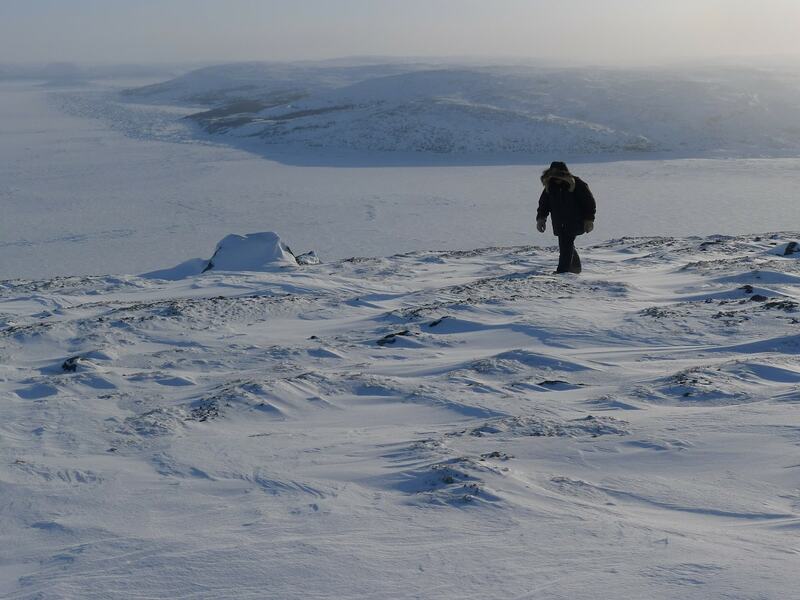 About 5 percent of the ground in the Arctic Desert is covered in plant matter. While Antarctica is probably the last place people think of when talking about deserts, the southernmost continent is actually home to the largest desert in the world. The Antarctic Desert is unbelievably vast and spans across an area of about 5.5 million square miles (14 million square kilometers). Although it is very cold, the Antarctic Desert experiences very little precipitation (about 50 millimeters a year), which qualifies it as a desert. 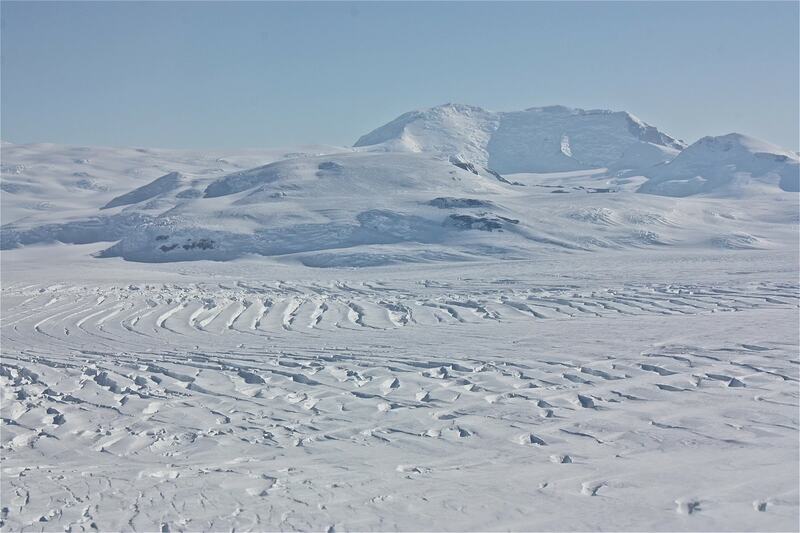 Despite all the ice, it does not actually rain or snow much in Antarctica. Also, moss and algae are the only plants that are able to survive in the extreme cold of the Antarctic Desert. Antarctica is the coldest, windiest and driest continent and contains 90 percent of the world’s ice. The Antarctic Desert is one of the oldest deserts in the wold with an estimated age of 15 million years.